Michael Cina and Matthew Desmond go live. Above: Image via Associated Typographics, process sheet from their extensive new font for Disney. Long time associates Michael Cina and Matthew Desmond have quietly launched their new effort, a self-described “micro foundry with a macro view.” Their recent soft-launch features Ramsey, a retail display sans, as well as the fascinating work for Disney and Nike. Above: Image via Associated Typographics, detail of their new font for Disney. This collaboration promises even more exciting new work from these two Minneapolis based legends. 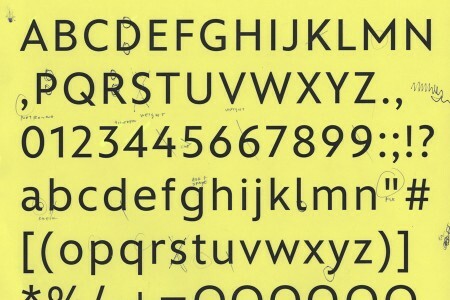 Type aficionados will remember Cina and Desmond’s work with Joe Kral and the mighty Test Pilot Collective, in itself an inspiring visit given the archive of first pages still extant there. For more updates, follow along via their Twitter page, and wish them well. This entry was posted by Erik Brandt on Thursday, November 29th, 2012 at 11:46 AM	and is filed under Aktuell, Education, Geotypografika, Globalization, Graphic Design, International, Internet, Minneapolis, News Links, Typografika, Typography.